[3 mins.] The Director of Content at MUBI, Daniel Kasman visits the podcast and shares the business of streaming on demand. MUBI is a curated online cinema bringing you cult, classic, independent, and award-winning movies. Every day our film experts introduce you to a great film, and you have a whole month to watch it. That's 365 extraordinary films a year curated by MUBI. [27 mins. 31 secs.] 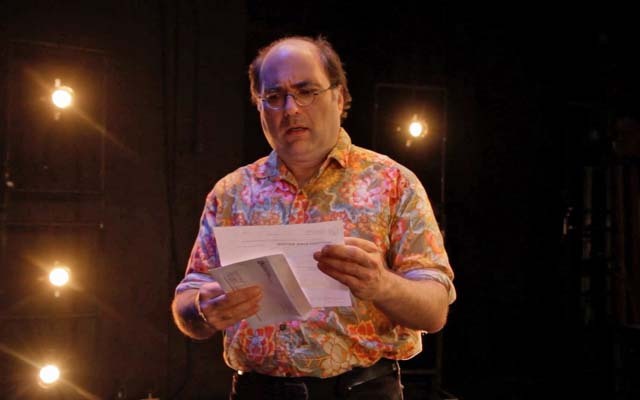 Monologist/actor/writer Josh Kornbluth is the next guest. Josh's brother, filmmaker Jacob Kornbluth directed a new indie film called "Love & Taxes" based on one of Josh's recent performances. The film stars Josh and has some special supporting performances from Harry Shearer and former Secretary of Labor, Robert Reich. This autobiographical film concerns a middle-aged monologist who fancies himself a rebellious outsider until an attorney convinces him to pay taxes for the first time in seven years.